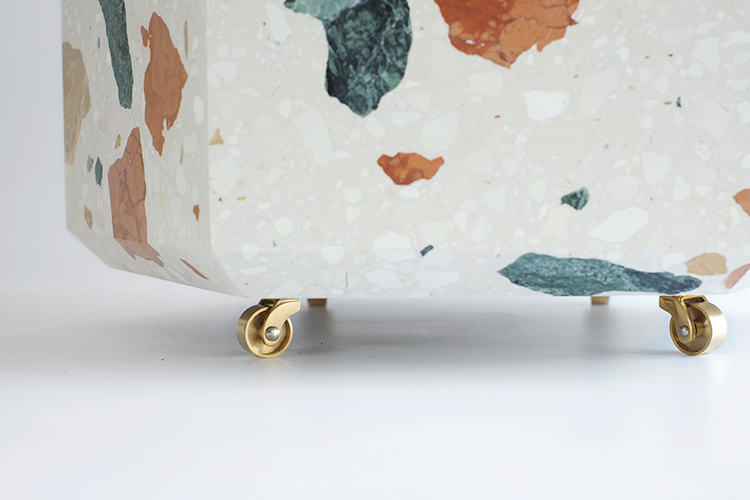 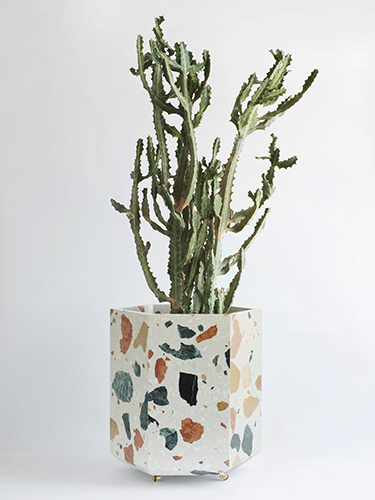 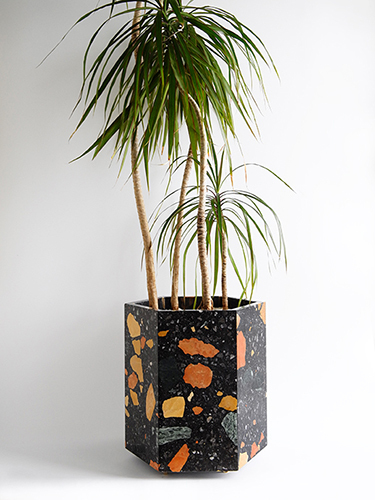 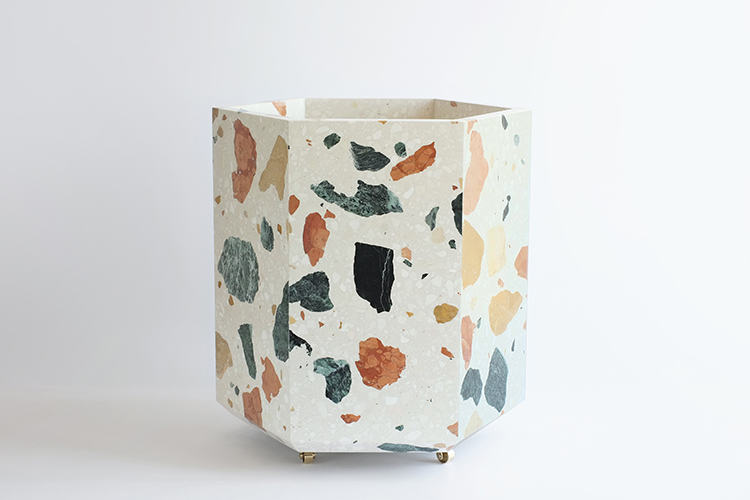 This stone planter is made of the highly coveted “Marmoreal”, a special aggregate terrazzo material produced by Dzek and designed by Max Lamb. 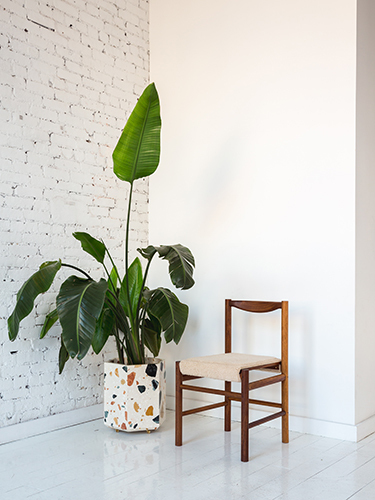 Marmoreal is available in both black and white. 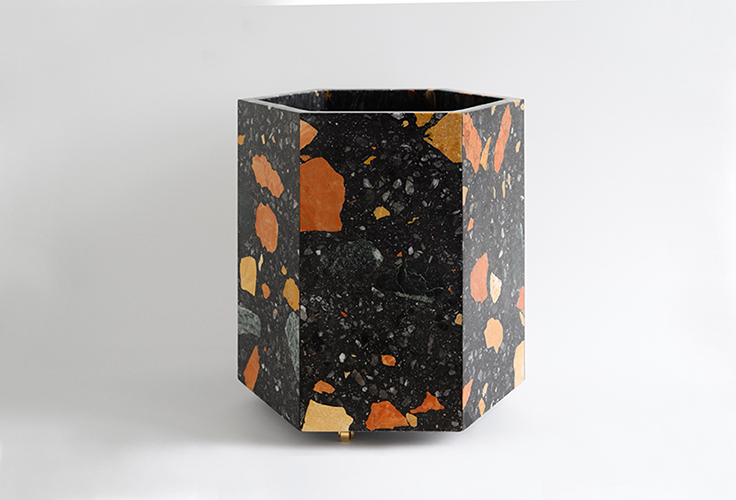 The hexagonal shape is made with coopered construction and is 16″ tall. 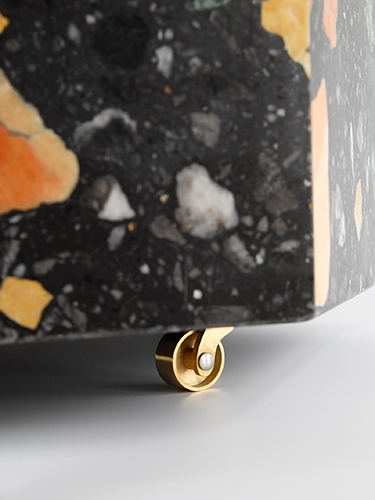 There are small brass casters at its base in order to be more easily moved.